In 2015, the 9th ANNUAL CYBERFEST expands from St Petersburg to Berlin, Bogota, New York City , and London – uniting Art and Tech communities across the globe. As part of the 9th ANNUAL CYBERFEST, the Video Program will travel to select cities including SOFA (Bogota), The Taiga Space (St. Petersburg), and the Made in New York Media Center (New York) as part of CYBERFEST. CYBERFEST is honored to partner for the 9th time with iconic The Hermitage Museum in St Petersburg. Founded in Russia and growing to become the countries’ largest annual New Media event — CYBERFEST includes an international Visual, Sound, and Video Art exhibition “PATTERNS OF THE MIND” at the Youth Educational Center of Hermitage Museum. Selected video artworks by artists: Lei Lei, Philippe Lamy and Sandrine Deumier. On November 26, the creative space TAIGA will house the showing of video artworks united by the festival collective theme «MODUS OPERANDI». Victoria Ilyushkina, curator of the video program, selected 22 works by the artists from all over the world, which resulted in a review of cultural perceptions in the virtual space. Relationships between the physical and digital environments, personality, online community, self-identification, privacy, publicity as well as between human being and artificial intelligence — all this comprises the circle of works that is included in the program of video art. The media — it's the machines of abstraction that create information flows. These flows are subjected to various forms of transcoding: the physical reality into the virtual one, analog into digital, verbal into nonverbal, image into sound, 2-D images into #-D models, various failures and glitches in the process of file-coding, up to the complete deconstruction of an image. «MODUS OPERANDI» include the works whose parameters are neither digital nor physical — instead, they exist in a new virtual/material hybrid trajectory that, one of these days will, will not need a human being in order to function. What awaits us in the future if the technologies are used as a survival of mankind? And what if the technology is not going to need the human being at all? The video program «MODUS OPERANDI» tries to imagine the world the way it will be remembered — as the future's backbone. Participants of the video program: Eden Mitsenmacher (Israel), Jeroen van Loon (Netherlands), Nelmarie du Preez (South Africa), Egor Kraft (Russia), Blanca Rego (Spain), Michael Wirthig (Austria), Veronika Reichl (USA, Germany), Luigia Cardarelli (Italy), Felice Hapetzeder (Sweden), Sylvia Winkler (Austria) and Stephan Koeperl (Germany), Martina Menegon (Italy), Nicholas Steindorf (USA), Francesc Marti (Spain), claRa apaRicio yoldi (Spain), Anthony Stephenson (USA), Oleg Elagin (Russia), Myriam Thyes (Switzerland-Germany), Lei Lei (China), Sebastián Mira (Columbia), Jeroen Cluckers (Belgium), Michael Beitz (USA). CYBERFEST comes to New York City. In an exciting new alliance of leading cultural institutions in Brooklyn – CYBERFEST joins with the Made In New York Media Center by IFP, Pratt University, and others to present a survey of emerging New Media art from around the world. More details announced soon. The 9th ANNUAL CYBERFEST Video Program,“MODUS OPERANDI”, explores the resurgence of the artist’s message across media and the complex new forms that have evolved to complicate the production and perception of art itself. “Loading” plays on the cues triggering contemporary society’s expectations. 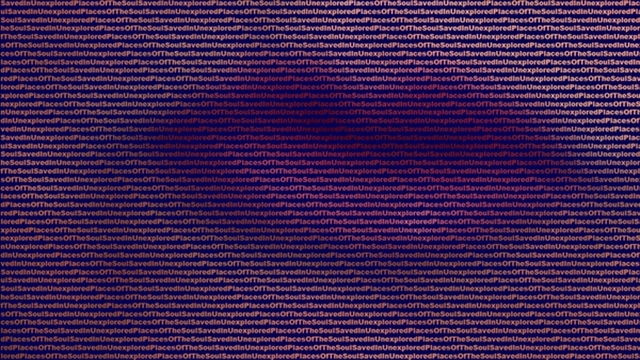 Incorporating imagery reminiscent of the screensaver seen during the process of downloading a file, the physical state of the spectator becomes a mental state of anticipation. Eden Mitsenmacher combines performance, video and installation to critically explore social, political, and cultural critical to the contemporary moment. Mitsenmacher's work has been exhibited at the Istanbul Biennial, the Van Abbe Museum in the Netherlands, the Holon Design Museum, the Liverpool Biennial, Arebyte Gallery London and on ACRE TV. “What You See Is What You Get” surveys digital technology from a biological perspective. Exploring whether technology is an external tool or an internal extension of man, van Loon scans his computer in the hospital, superimposing the heartbeat of the artist’s soon-to-be-born son. Jeroen van Loon’s projects revolve around the impact (or lack thereof) of digital technology on modern society. Van Loon’s “From Digital to Analogue” was named one of the most innovative projects of 2010 by Bright Magazine. The artist has given TEDx talks about his work in 2012 and 2014. Referencing female performance artist Marina Abramovic, du Preez uses her body to explore the dynamics of a symbiotic relationship through the mapping of interactivity. “Gui”— named for the abbreviation for Graphical User Interface — presents viewers with a computerized robot representing “the other” in a performance that deliberately obscures the presence of the artist. With an MA in Computational arts and and MFA in Fine Arts from Goldsmiths University, Nelmarie du Preez has been internationally recognized for her talent and potential. Most recently, Du Preez was awarded the Sasol New Signatures Award and named the 2015 Ampersand Foundation Fellow. “The New Color” is an online intervention consisting of a faux website for a non-existent American company (ACI) specializing in the field of developing chemistry. On the website, the fictitious company announces a fictitious breakthrough consisting of a previously ‘undiscovered’ color. The website’s presentation of non-facts as news — including advertorials and video interviews — explores the intrinsic power of the media to transform public perception and stand in for new forms of knowledge production. A viral sensation with broad social impact, “The New Color” continues to attract significant online attention. Egor Kraft studied Media Theory at The Moscow Rodchenko School, The Academy of Fine Arts in Vienna and Central Saint Martin's College of Art and Design in London. Kraft participated in the 2nd Moscow Biennale of Young Art, the Arsenale International Biennale, and Manifesta. “Optical Sound” explores how the representation of light can signify physical, emotional and psychological states manifested in the external world, offering up visual cues associated with waking, opening a door, or finding enlightenment. Trading on the viewer’s personal experiences of light and sound as phenomenological processes, “Optical Sound” presents digitally manipulated visual and auditory engagement that questions the very nature of the sensory experience in a manner inspired by the experimental optical-sound films of the 1970s. With training as a narrative film director, Blanca Rego has pushed the boundaries of the medium into the realms of experimental cinema and new media. Exploring the relationship between image, light and sound, Rego’s new work has been exhibited throughout Europe and North America in in numerous exhibitions and festivals. “Inside the Head” puts the tropes and techniques of conventional narrative filmmaking under the microscope both literally and figuratively through a careful exploration of the 35mm frames counting down to the start of a major motion picture (also known as the head). 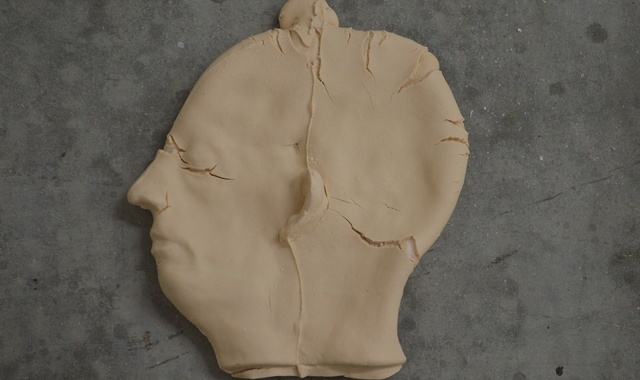 As digital technology has begun to render the head entirely vestigial, Obwegeser focuses on the visual and technical poetry of the head as a manifestation of medium and message. Michail Wirthing studied Media Design at Art University in Linz. Wirthing's photography and experimental films delve into the breakdown of objects, machines, and herbal structures. “Hegel: Subjective Spirit” is an animated film dedicated to philosophical interpretation through visualization. Using a short passage by Hegel as fodder, Reichl’s “Hegel: Subjective Spirit” investigates the mind as a tool of perception and the relationship between subject to object. Veronika Reichl works as a filmmaker, writer, and lecturer. Holding a PhD in the field of Art Design and Media, Reichl’s doctoral thesis investigated the relationship between linguistic and pictorial media. In 2008, Reichl published a book and DVD (titled “Sprachkino”) exploring the interface between philosophical language and visual imagery. “Unspoken Words” is a poem in the form of a video, a synergistic confabulation in which text becomes image and image transforms itself into text. Each frame of the animation was produced by the language of the web: HTML, CSS, and SVG. Luigia Cardarelli works primarily with 2D and 3D graphics, images and animations in SVG (Scalable Vector Graphics). As a video and net artist, Cardarelli uses programming languages of the web to express creative interpretations of the contemporary world order. “Yesterday Was No Good Day (Lost Monuments)” presents a digital adaptation of Derridá’s views on the archive as a catalyst for transformative action in the interest of our collective future. Hapetzeder offers historical facts pertaining to the Japanese occupation of Singapore (1942-45) that serve both to archive and convey reflections on the event itself, reflections which in turn serve to shapes our future. Felice Hapetzeder has exhibited and screened works video and new media at the Institute for Provocation at Black Sesame, Beijing 2015, Athens Digital Arts Festival, Video Library in Les Rencontres Internationales, Haus der Kulturen der Welt, ACM SIGGRAPH, PASAJ gallery, and the Oberhausen Short Film Festival among others. In New Songdo City (one of South Korea´s Free Economic Zones), Winkler and Koeperl reflect on the rights, responsibilities, freedoms and fortunes of the individual under the influence of the increasingly corporatized modern metropolis. Sylvia Winkler and Stephan Koeperl began their artistic collaboration in 1997 — their work focuses on site and situationally- specific interventions within the urban fabric of cities around the world. “Ouch” investigates the ephemeral limits between machine :: body and artificial intelligence :: consciousness. Through the platform Second Life, Menegon depicts the struggle of living a real life within a virtual universe, starting with the basic necessities of eating and drinking. Martina Menegon is a new media and visual artist with a degree in Visual Art and Theatre at IUAV University of Venice. Menegon is currently studying Transmedial Arts at The University for Applied Arts of Vienna. “Scan” is the second video in an eight-video series from the project “Zach,” which explores the sanitization of digital voyeurism. For “Scan,” Steidorf transforms the facial structure of an individual in his early twenties into the digital representation of a pre-pubescent child, illustrating how the disconnection between image and body in the digital age blurs moral and social boundaries. Nicholas Steindorf has been screened and exhibited in New York, Chicago, and Paris and included in, “The Studio Reader,” edited by Mary Jane Jacobs and Michelle Grabner. «Speech 1» is an audiovisual investigation devised from a 1974 clip of an Edward Kennedy TV interview. With “Speech 1,” the artist explores the ways in which synchronous granular synthesis can be utilized in the construction of creative audiovisuals. Francesc Martí has a bachelor’s degree in Mathematics from the Autonomous University of Barcelona, as well as two masters degrees — one from the Pompeu Fabra University in Digital Arts; the other in Free Software from the Open University of Catalonia. Martí works to combines his artistic and technology practices in ongoing exploration while teaching at the Open University of Catalonia and De Montfort University of Leicester. 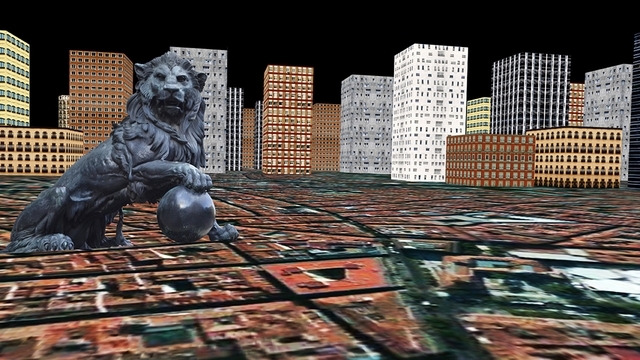 “RAM City” — based on text of the same name by José Luis Brea — depicts cultural mutations in the age of electronic distribution. Linguistic evolutions underlining the ongoing transformation include the shift from “Read Only” (ROM) to “Random Access” (RAM); “file based” to “network;” “storage” to “factory.” As cumulative histories of digital developments, these changes in memory represent a continuous exchange, a permanent awakening. ClaRa experiments with different formats on the boundary between traditional and new media. ClaRa’s videos have been screened around the world at MADATAC / Spain, Aesthetica Art Price / United Kingdom, The HTMlles 11 / Canada, FIVA / Argentina, FONLAD / Portugal, MIDEN / Greece and received major awards FIVAC in Cuba and BANG in Spain. “The Fourth One-Hundred-and-One Stop” is drawn from Stephenson’s series of videos based on a logarithmic compositional structure which create a climactic effect in combination with an octatonic serial composition and portamento embellishments. Anthony Stephenson studied Communication Arts (New York Instutute of Technology), Video (Cal-State) and Film (UCLA). An artist/designer working in Multimedia Design, his work has been exhibited internationally with “The NetArtizens Project” in London/Singapore, at New York’s MoMA in «PopRally: Abstract Currents», “The Best of Two Worlds – Rhizome” in Madrid, «Streaming Festival — 8th Edition» in The Hague, and on Wander Web TV in Belgium..
“Death Among Us” documents ordinary people attending an exhibition or walking down the street before coming into contact with a dancing skeleton. The footage recorded via mobile PC allows Elagin to play the live feed juxtaposed with animation on-site, allowing the individuals featured in the video to interact with and react to the animation in real time, blurring the boundaries between the physical and the digital world. Oleg Elagin graduated from the Samara State Communication Academy and then the Independent School of Contemporary Art. Elagin was the recipient of an art grant to further his work in Germany at Stuttgarter kunstverein e.v. “Vanishing Lines” is an animation combining eight of works from Sophie Taeuber-Arp's 'Lines' series (completed between 1940 and 1942 while the artist was in exile in southern France) with photographs from World War II. Exploring the connections and distances between the parallel worlds of artistic production and the destruction of war, – “Sophie Taeuber-Arp's Vanishing Lines”s explores the endless artistic struggle for creation in a world riddled with destructive forces that exist and exert influence beyond the reach of the individual. Myriam Thyes’ work has received support from the City of Dusseldorf, Swiss Federal Office of Culture, Swiss Arts Council Pro Helvetia, State of Luxembourg, and State of Northrhein-Westfalia. Thyes has held residencies at Cité Internationale des Arts in Paris, Glasgow in UK, and Styria in Austria; her work has received awards including Depict Award at the Encounters Festival in Bristol UK, and the MultiMedia Prize 2006 at Avanca Festival in Portugal. “Recycled” is an animation of 3000 images sourced by the artist from a recycling zone on the outskirts of Beijing. The images were selected from more than half a million 35mm color film negatives to construct a meaningful portrait of the capital city and its people over the last thirty years. Lei Lei holds a master's degree in animation from Tsinghua University. Lei’s “Recycled” was a selection of the Annecy Festival, and winner of the Grand Prix shorts (non-narrative) at the Holland International Animation Film Festival. Lei has served on the of the Zagreb / Holland International Animation Film Festival and been awarded the Asian Cultural Council Grant in 2014. In “Halito” viewers confront a garden full of stillness bounded by a fence — an impenetrable transparent wall, which forbids access to the act of leisure. The minimal moving image serves as a metaphor for a more meditative exploration of the impulse to unwind, the slippery liminal space between action and inaction, occupation and rest, being and non-being. Sebastian Mira was born and raised in Bogotá, Colombia. Mira is Zine maker, manager of Mequetrefe’s collection, and temporary brickie. In our increasingly digitized world, unpredictable behavior from technology is often perceived as negative; however, these glitches can be reinterpreted as an expansion of the possibilities of image production in the digital age. “Oneria" uses datamoshing (a technique in which digital video images are deliberately made unstable) and found footage in different formats (digital HD, VHS, Super 8, …) as paint, inciting glitches and smearing images to create abstract, dreamlike landscapes. Jeroen Cluckers explores the audiovisual potential of video art and experimental film by researching, deconstructing and transforming the material language of both media. Cluckers' work has been exhibited in more than 20 countries worldwide, at venues such as FILE Festival, VIVO Media Arts Centre, Ludwig Forum für Internationale Kunst, Internationale Kurzfilmwoche Regensburg, Athens Digital Arts Festival, and ISEA. The animation, “Liable” shows a series of ceramic, self portrait of the artist, all of which have been dropped on the floor. Michael Beitz received a BFA in sculpture from Alfred University and an MFA from the University at Buffalo. Beitz has been the recipient of awards, grants, and residencies from NYFA, West Prize, Sculpture Space, Roswell Artist in Residence Program, Bemis Center for Contemporary Art, McColl Center for Visual Art, John Michael Kohler Art Center, and the National Center of Contemporary Art in St. Petersburg, RU. Victoria Ilyushkina (St Petersburg) holds a degree in Art History and Theory from the Russian Academy of Arts and New Media Program at Pro Arte Institute. She began her career as a curator working with the NCCA (National Contemporary Art Center) in Saint Petersburg. Since 2009, Ilyushkina has served as curator for the CYLAND’s video archive and the CYBERFEST video program. During her time at the helm, both the archive and the CYBERFEST video program have grown internationally with featured screenings at Platoon Kunsthalle in Berlin, Germany; Empire Projects, Istanbul; programming at the Venice Biennale, the New York Media Center and more. Ilyushkina has also curated the international video festival VIDEOFORMA, served on the jury of the Oberhausen International Short Film Festival, and organized exhibitions at S.Kuryokhin Contemporary Arts Center, where she serves on the committee presiding over the prestigious annual award. * Been created after 2012. Complete an application form (9TH ANNUAL CYBERFEST VIDEO PROGRAM APPLICATION) for each submission and select two still images of your work to send. (Images must be jpeg, no less than 1500 pixels in any direction). Submissions selected to be included in the 2015/2016 CYBERFEST Video Program will be notified and asked to provide screen quality video files via ASCRIBE (www.ascribe.io). Selected video work will need to be provided by the artist in one of these formats: MPEG, MOV,H264, HD MP4; with a file size not large than 5GB. Applications are due August 29, 2015. Notification will be sent to selected artist by September 5, 2015. The full program will be published on the CYLAND website after accepted applicants have been informed by email. By submitting your work to CYLAND Media Art Lab you are authorizing the screening of your video work and distribution of still images for the promotion and production of CYBERFEST Video Art programming in Bogota, St. Petersburg and New York as well as in print and online by CYLAND in reference to CYBERFEST.